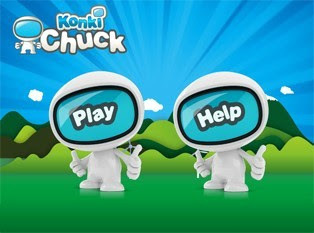 Konki Chuck as far as you can, propel him using clouds, planes, air balloons and rockets, but beware of the space junk. If he goes backwards he's doomed. This game is free to play. Instructions: Please check inside game for instruction on how to play Konki Chuck game.